I have always had a complex relationship with my looks. Growing up in an extended Vietnamese family meant that no one shied away from making comments about your appearance, e.g “Your face is ugly”, “your hair is too thick”, “what’s wrong with your nose?”. In primary school I would get picked on for having lips that were too big, teeth that were too white, eyes that were too big for an Asian, for being too tall, for being too skinny… Really. Little did I know that one day I would grow into my “ugly” looks, and would spend a lot of time being prodded and examined by members of the Asian community and told that I looked “mixed”- basically the highest compliment you can receive as an Asian is being told that you don’t look Asian at all. It’s like a feat of evolution. I wish I could have told my thirteen year old self that I had nothing to worry about, but unfortunately I had already discovered teen magazines that were very efficient in fanning the fire of inadequacy. Enter the years of drying out my poor skin with supermarket cleansers, sticking my finger into every pot at The Body Shop, and eating way too much lip gloss. I actually loathed true make up deep down, and still remember leaving the Clinique counter in tears before my year 12 formal after seeing what my face looked like fully made up, and was inconsolable until my mum wiped it all off for me. I spent the first few years of uni make up free, after chopping off my hair in an attempt to look “more professional”- Turns out my hair being short just meant “more Asian Afro”. I started experimenting with make up after starring in a short film written and directed by a friend- turns out I’m really bad at fake-crying on demand over a fake grave on a green screen. Never again. 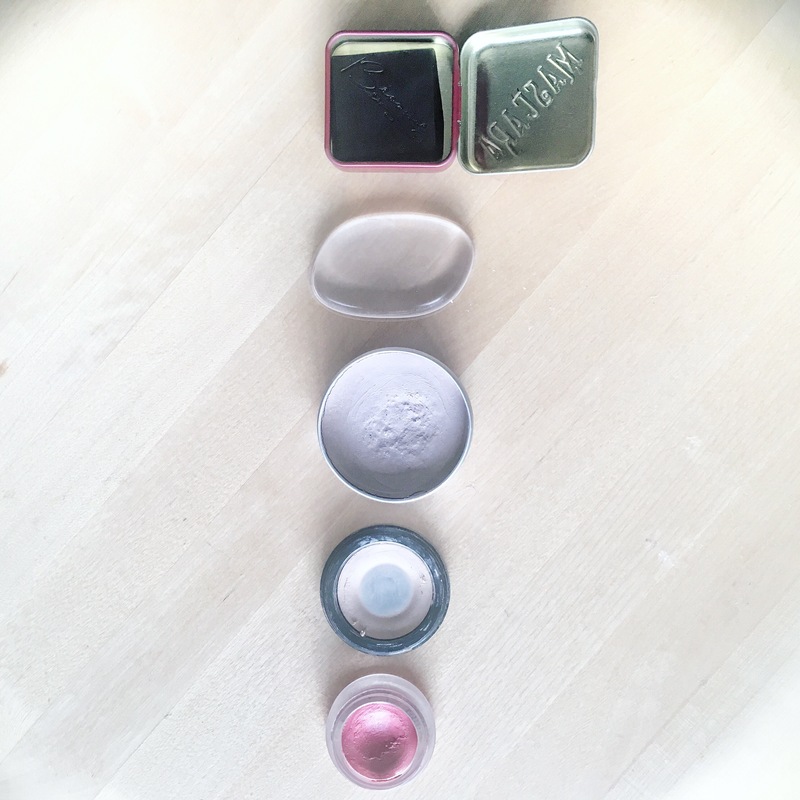 I actually started off with a good small beauty capsule, which after all this time I’m desperately trying to pare back to: One foundation/ one powder/ 2 shades of blush/ 2 lipsticks/ one eye shadow. Disappointingly I started earning money, and then Michelle Phan happened on YouTube and things got really out of hand. I’ve spent the past few years lugging 2 baskets filled with make up products around the country and it is depressing, especially since I only have one face. I now get really excited when I use up a product and can add it to my TerraCycle collection box. I wish someone had told me years ago that it takes AGES to use up ONE product- e.g one lipstick lasts one year if used almost daily! It’s now complicated by my aim for zero waste, sustainably- packaged, ethical make up, and desire for a minimalist make up wardrobe. There are so many products I want to try, but I have to patiently wait for my current stash to be used up. But as things start to dwindle, I’ve been able to start dabbling in some gorgeous options out there- and suddenly putting make up on is a source of joy as each product has been lovingly chosen and considered. Eventually coming to peace with the face and body I was born with has also helped curb the desire to purchase every “life changing” plastic product out there. A huge factor in true beauty lies in self- acceptance- every thing else is just an optional accessory and Instagram fodder.